A: Compost tea is an extract of the microorganisms and nutrients found in good aerobic compost. Once extracted these microorganisms comprising of bacteria, fungi, protozoa and nematodes are fed and multiply rapidly creating a rich microbial solution to revitalize your soil and plants. Q: How is Compost Tea Made? A: Add some good quality compost into water, pull out the microbial life using air, then feed the microbes with appropriate foods to encourage them to reproduce. 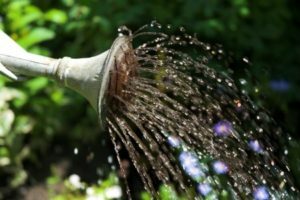 To do this you need a clean tank, oxygen, clean water, good aerobic compost with a diversity of bacteria, fungi, protozoa and nematodes, a range of microbial foods, and a means of spraying the compost tea into the soil or onto your plants. Q: Why use Compost Tea to Grow Plants? A: Most intensively managed soils are almost sterile or at best lacking in many of the micro organisms that make up the healthy soil food web. This food web recycles nutrients, makes them available to the plant, and helps protect the plant from drought and disease stress. A healthy soil food web is essential to growing plants with a minimum (hopefully none) of inorganic fertilizer and pesticide inputs. Q: Which Soils and Plants Benefit from Compost Tea? A: Compost tea adds microbial life to soils and plants, so any plant growing in poor quality soil or sterile rootzone will benefit. This includes all crops grown in intensively fertilized and ploughed farmland, compacted and heavily used amenity sports turf, vegetable crops, greenhouse and horticultural plants grown in containers with peat based or other sterile growing media. Q: How much Compost Tea Should I Apply? As a Foliar Spray – You have to cover at least 70% of the top and bottom of the leaf surface. Q: Can I Use My Own Compost to Make Compost Tea? A: Yes – but you must make sure it is aerated by occasionally turning, and has finished composting which will take approximately 6 – 8 weeks. It must have gotten hot enough (150° F / 65° C) to kill any pathogenic fungi. It also should be left long enough for beneficial bacteria and fungi to develop. Ideally each batch should be analyzed for the components of the soil food web to make sure you are not brewing dirty water. Q: Is it Safe for Children and Pets to Play on a Lawn Treated with Compost Tea? A: Yes! Compost tea is made from all-natural, organic ingredients (do not use human waste in compost used for compost tea). There are no pesticides, fungicides, or synthetic fertilizers used. Q: Will Compost Tea Function like a Pesticide or Herbicide? A: Use of compost tea on plant foliage covers it with beneficial microbes, making it so there is no space for harmful bacteria or pests. Users often report less disease and invasion. This is due to growing healthier plants in biologically active soil where some of nature’s defense mechanisms come into play. Q: What does "Sustainable Agriculture" Mean? A: An agriculture whose methods do not deplete soil, water, air, wildlife, or human community resources. Sustainable agriculture is a term used worldwide to refer to farming practices that strive for this ideal, as opposed to methods that rely heavily on petroleum products (like gasoline, chemical fertilizers, and pesticides) and/or exploited labor. Q: How do Sustainable Farms Fertilize? A: Fertile soils have a balanced mix of minerals, organic matter, microorganisms (like bacteria), and macroorganisms (like earthworms). Sustainable farmers keep these components in balance by adding compost, minerals, naturally occurring fertilizers (like blood meal or bat guano), and by plowing back into the soil crop residues or crops grown specifically for fertility. The mixing of organic materials and nutrients in the soil by earthworms may be an important benefit in reduced tillage systems, especially no-till. The earthworms may partially replace the work of tillage implements in mixing materials and make them available for subsequent crops. In natural ecosystems such as forests, organisms recycle last year’s leaf litter into the soil for release of nutrients. With no-till planting we may also depend more on earthworms and other soil organisms to do this mixing for us. It therefore seems appropriate to try to determine how we can manage soils to encourage the organisms and their activity. Q: What do Sustainable Farms do about Insects, Pests, and Weeds? Disruptions to the farm ecosystem (with synthetic chemical insecticides, herbicides, fungicides or fertilizers) should be kept to a minimum. Biological diversity (many different types of plants and animals) should be encouraged. Healthy, biologically-active soils lead to healthier, more insect and disease resistant plants and animals. Natural or supplemented populations of beneficial insects will keep pests below economically damaging levels. Many sustainable farmers purposely grow plants that will attract beneficial insects. Weeds can be controlled by hand hoeing, mechanical cultivation or mowing, burning, careful watering, shading, animal grazing, or other innovative non-chemical methods.